Musk Yemeni Eau de Parfum 100ml by Ard al Zaafaran Perfume spray - Unisex, Oudh, musk, woody, patchouli, oriental Read more..
Musk Yemeni Eau de Parfum by Ard Al Zaafaran is a woody, oriental fragrance for women and men. Perfume Musk Yemeni starts with a lovely top note of bergamot, musk and vetiver. Neroli, cloves, orange blossoms and patchouli form the heart note and add some floral fragrances. Oudh, musk, cedar and patchouli in the base provide a pleasant woody and musky finish to the perfume. 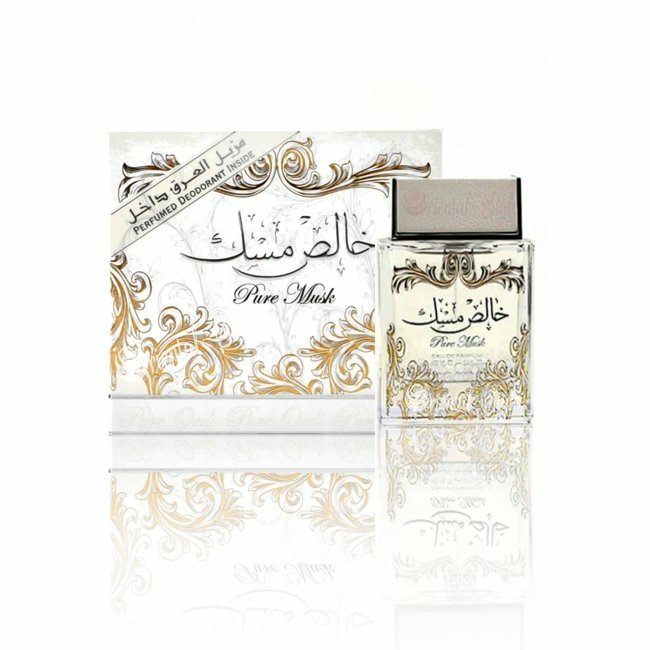 A beautiful musk scent with oudh where bergamot sets interesting citrus accents. Musk Yemeni is part of the Surrori collection by Ard Al Zaafaran.